Today, the 2018 National Summit on Education Reform opened with an inspiring video message from Governor Jeb Bush, chairman of the Foundation for Excellence in Education (ExcelinEd). His message was followed by an opening keynote from U.S. Senator Ben Sasse, who shared his sense of urgency for rethinking education and schools for the 21st century. Check out the video below, plus other highlights from the morning! Governor Jeb Bush is unable to attend the 2018 National Summit on Education Reform due to this week’s funeral services for his father, President George H.W. Bush. Governor Bush sent attendees an important message: Go big, be bold and be impatient! This week at the 2018 National Summit on Education Reform, ExcelinEd is hosting more than 1,000 legislators, state superintendents, policymakers and advocates—all working to build a brighter future for America’s families—at the 11th annual National Summit on Education Reform (#EIE18). The premier two-day event features notable keynote speakers and in-depth strategy sessions on evolving laws, new trends, successful policies and the latest innovations that are transforming education for the 21st century. #EIE18 is the only conference of its kind to feature a broad range of educational opportunity, innovation and quality policies that prioritize student success. Students from Eagle Academy Public Charter School lead #EIE18 attendees in reciting the Pledge of Allegiance. U.S. Senator Ben Sasse delivers the opening keynote address. 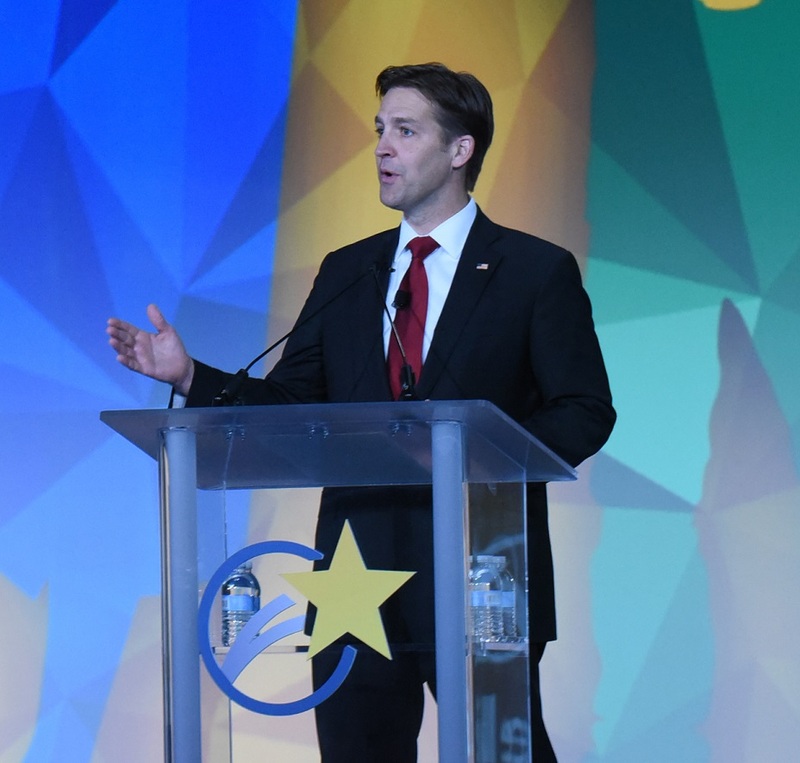 Kristen Soltis Anderson, co-founder of Echelon Insights, and Senator Ben Sasse further explore ideas shared during the Senator’s #EIE18 keynote.